Project Cumulus – A group of experts at Bitglass used watermarks to track data through the Dark Web and discover how far do phished credentials get. In April 2015, a group of experts at Bitglass used watermarks to track data through the Deep Web and discover how far does it get after a data breach. The experts discovered that the countries historically associated with cyber criminals activities such as Russia, China and Brazil, were the principal access points for the identity data. Now the same group of experts published the results of a second research, dubbed Project Cumulus “Where’s Your Data”, aiming to track fake personal data across the Internet. The researchers created a fake identity for employees of a ghostly retail bank, along with a functional web portal for the financial institution, and a Google Drive account. The experts also associated the identities with real credit-card data, then leaked “phished” Google Apps credentials to the Dark Web and tracked the activity on these accounts. The results were intriguing, the leaked data were accessed in 30 countries across six continents in just two weeks. Leaked data were viewed more than 1,000 times and downloaded 47 times, in just 24 hours the experts observed three Google Drive login attempts and five bank login attempts. Within 48 hours of the initial leak, files were downloaded, and the account was viewed hundreds of times over the course of a month, with many hackers successfully accessing the victim’s other online accounts. 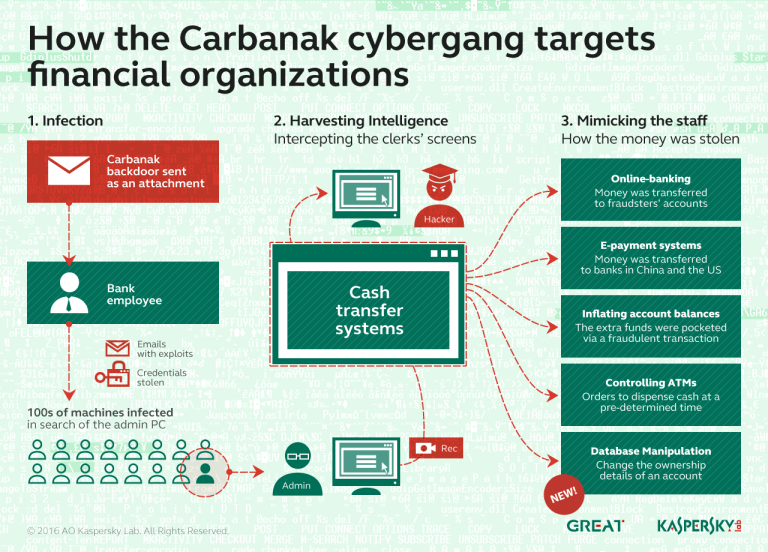 In 36 percent of the cases, hackers successfully accessed the victim’s other online accounts, 94 percent of hackers who accessed the Google Drive discovered the victim’s other online accounts and attempted to log into the bank’s web portal. The Project Cumulus revealed that 68 percent of hackers accessed Google Drive and bank portal accounts from the Tor network in order to anonymize their identity online. purchased using cryptocurrency, warning that any missteps could lead to prosecution under the Computer Fraud and Misuse Act.” continues the report. The researchers at Bitglass noticed that most of the visitors of the web portal that did not use the Tor network were from Russia (34.85%), United States (15.67%), China (3.5%), Japan (2%). The Project Cumulus demonstrates the importance of adopting a proper security posture in protecting our data, it highlights the dangers of reusing login credentials and shows how quickly phished credentials can spread, exposing sensitive data.